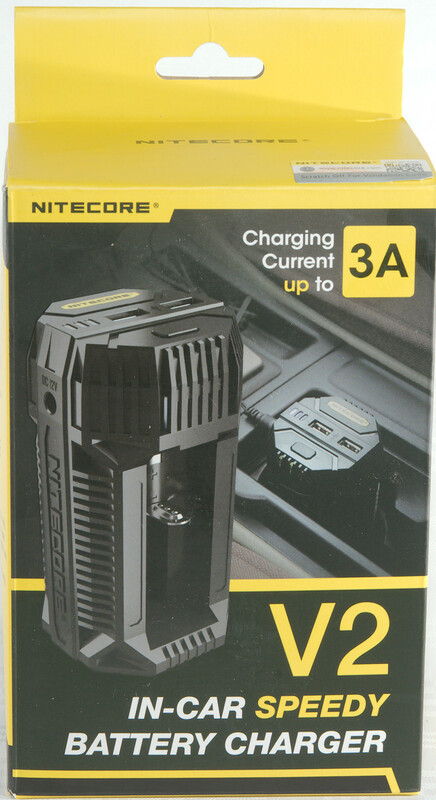 This is a car powered (12V) charger with up to 3A charge current. The box contains the charger, a car cable, manual and a warranty card. 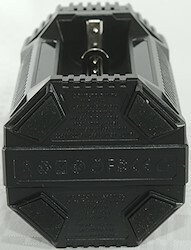 The charger uses a barrel connector for input voltage. 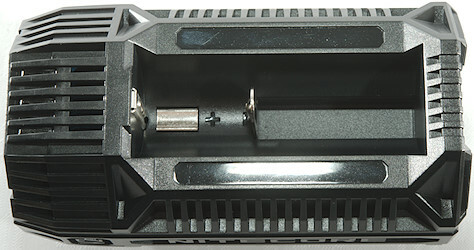 There is two usb output connectors on the top, together with the current select button and some hidden leds. 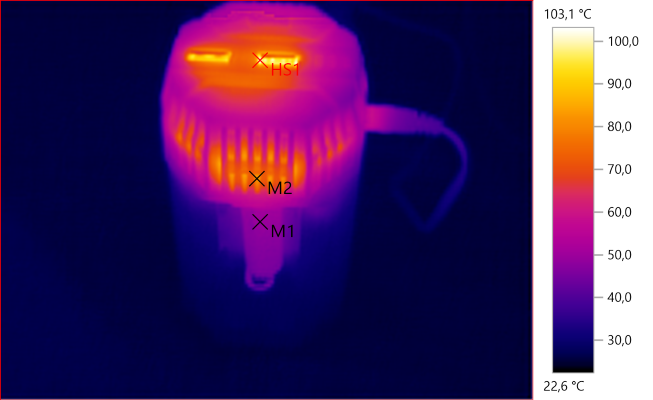 The blue led indicates charge current, 1 led = 1A, 2 leds = 2A, 3 leds = 3A. The green leds shows charge state there is 3 leds for each battery. 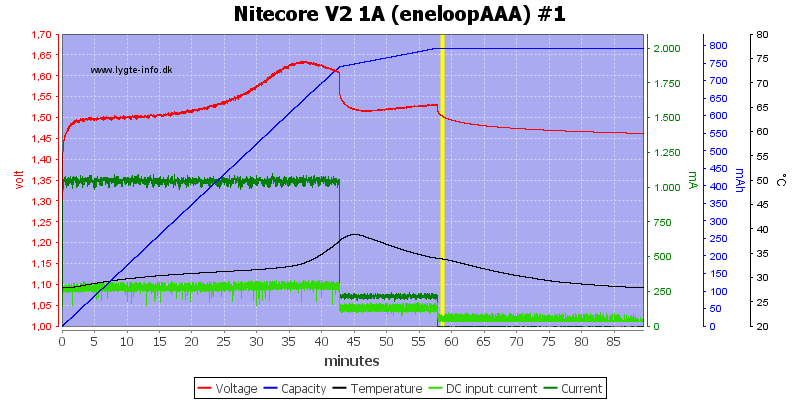 It looks like there is a temperature sensor behind the battery, this is a good idea with 3A charge current. 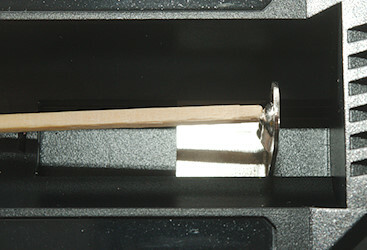 The slots uses the usual construction, but is vertical. They can handle batteries from 28mm to 72 mm long, this excludes protected 21700 batteries, but everything else will fit in length. There is a reason for the shape, it can fit in many cup/bottle holders. 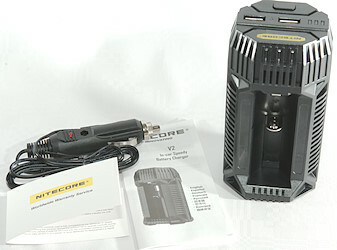 The charger can handle 72 mm long batteries, inclusive flat top cells. 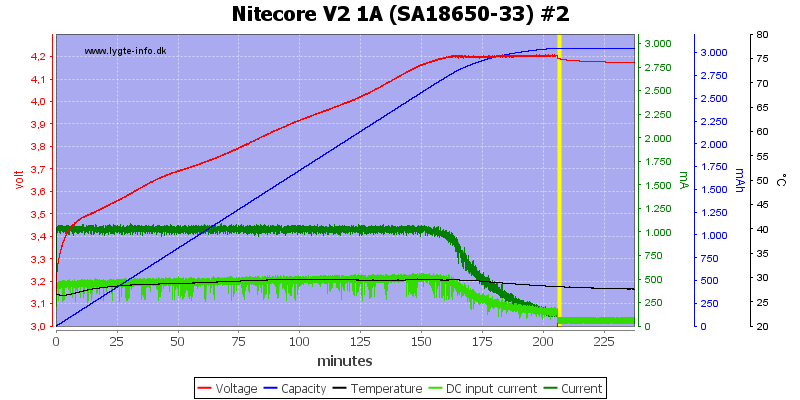 At 0.7 volt the charger will assume NiMH and start charging. The charger will assume NiMH below 1.7 volt and LiIon above 2.0 volt. 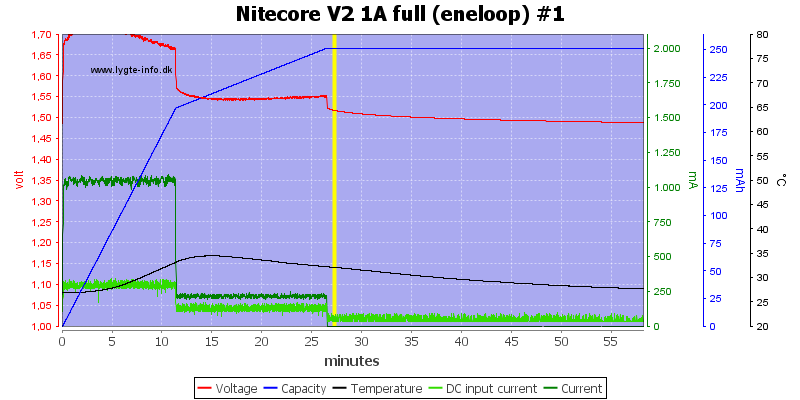 Will not restart if battery voltage drops. 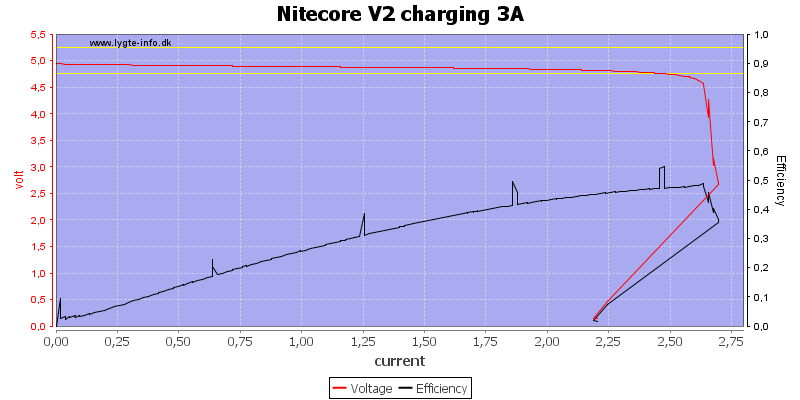 Charges with 0.2mA when LiIon battery is full. 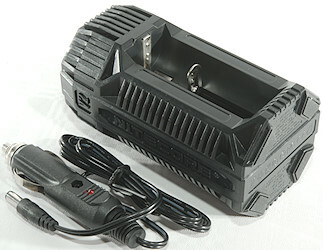 Short batteries are limited to 2A charging current. 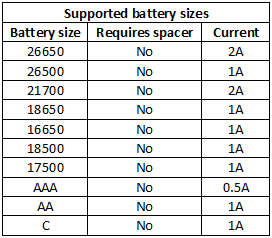 Change between short and long batteries are around 61mm. 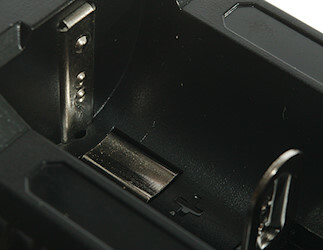 Charge will restart charging after power loss or battery insertion. 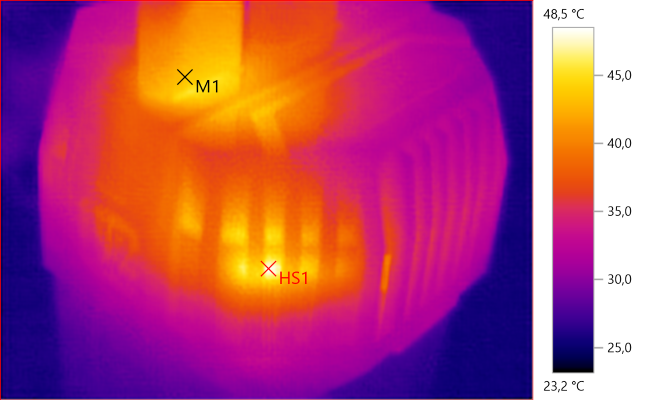 This is a nice CC/CV charge with about 150mA termination. The other side of the charger looks similar. 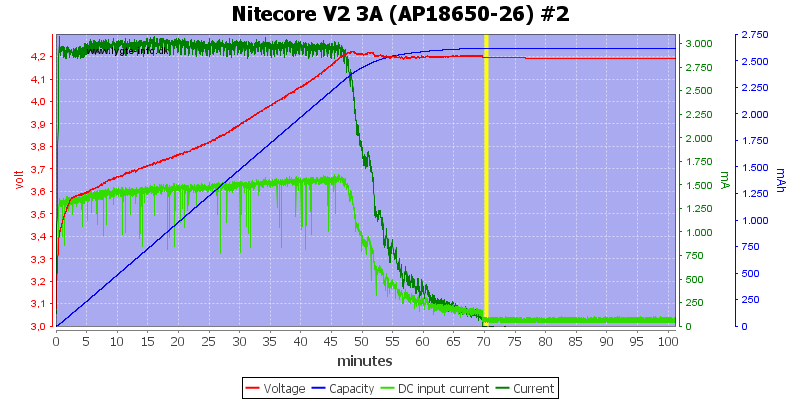 No problem with other batteries, even a fairly old one. 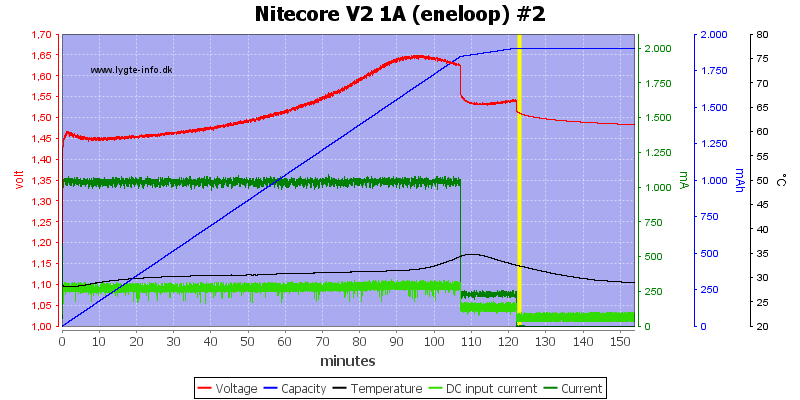 A high current battery charged at 3A also looks fine. On both sides of the charger. The larger battery is charged fine and fast. 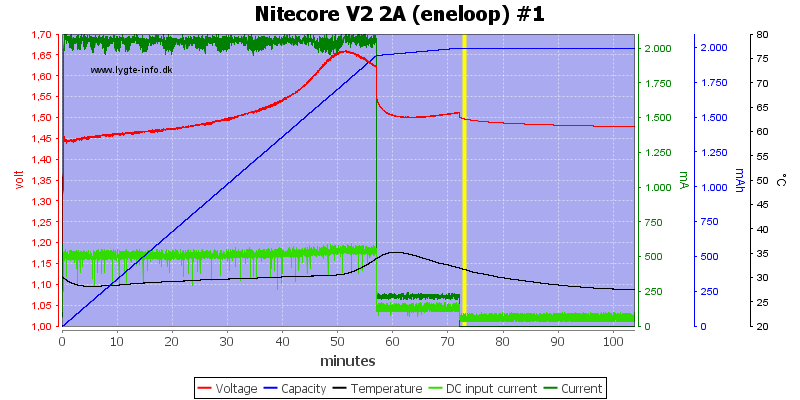 And two batteries at 3A, it looks like it tries to limit power draw from 12V to 2A. 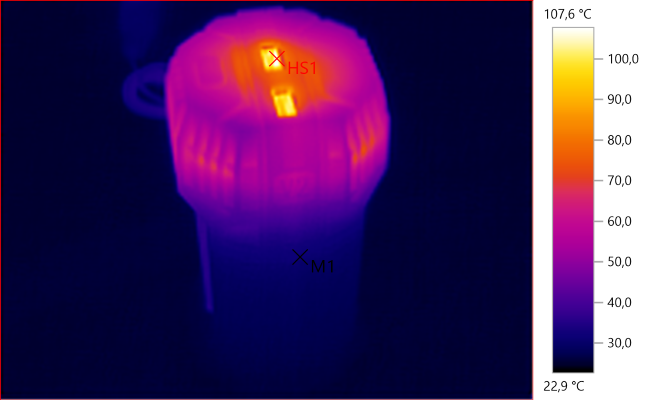 The batteries stays cool, but the top is fairly warm. The charger it not fast to start, it need some time from power is applied and it will only change current slowly. It uses a short off time at regular intervals, probably to measure voltage. 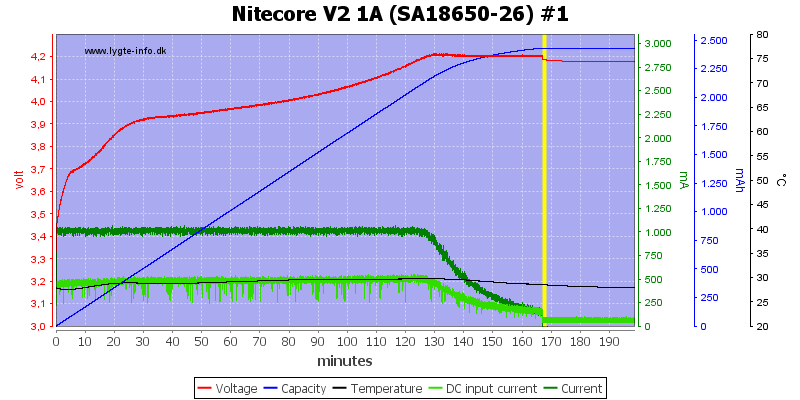 Current can be change when there is a battery in the charger and it is slowly adjusted to selected value. It is the same on the second channel. 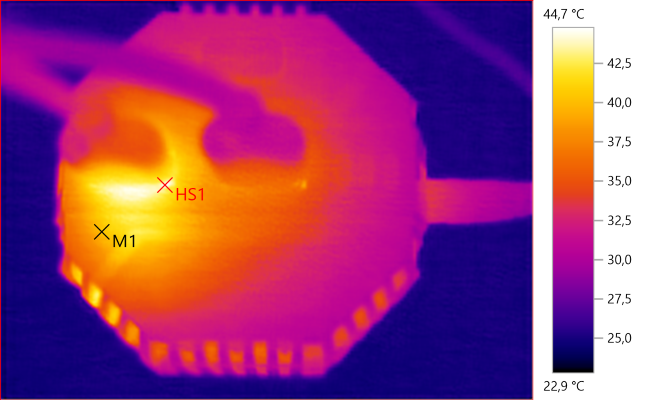 I wonder how it terminates here, it is not -dv/dt and cannot be on voltage. 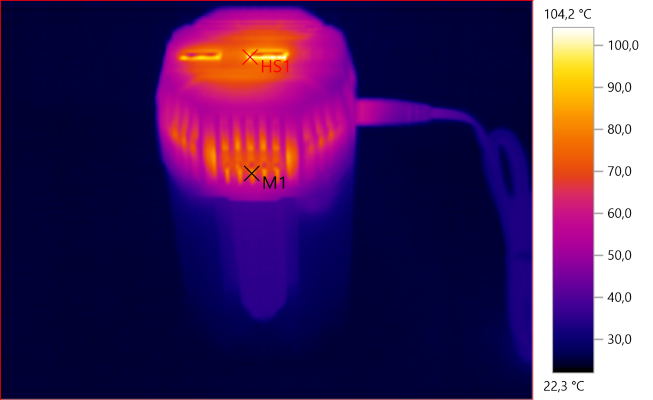 The 1A charge current is a bit high for AAA, but it is charged fine enough. 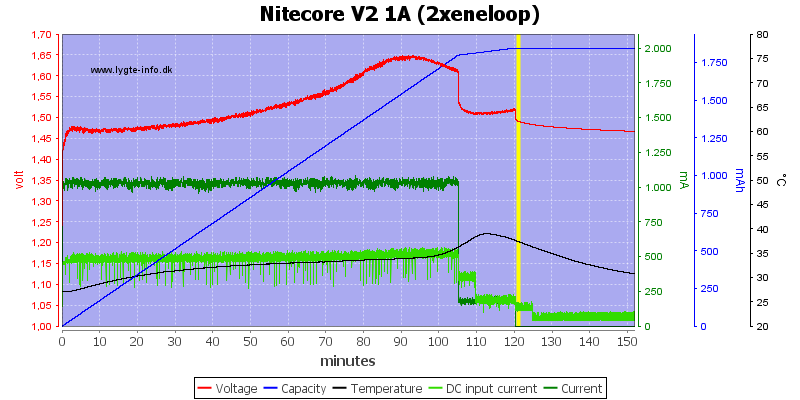 A full battery is detected in about 10 minutes, it is fast for -dv/dt. This also gets a short top-off charge. 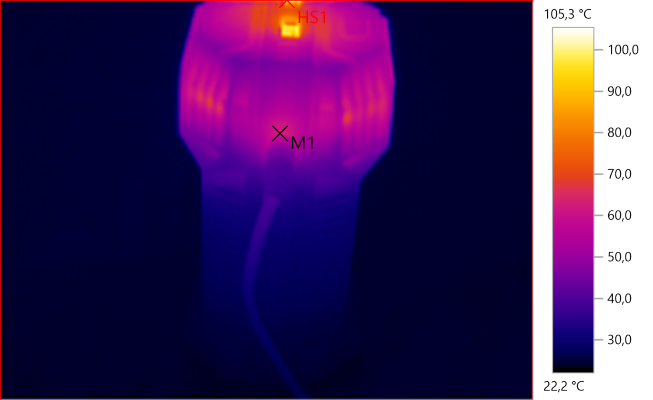 Using 2A is a fairly fast charge, the -dv/dt termination works fine and the top-off is still at 220mA level. 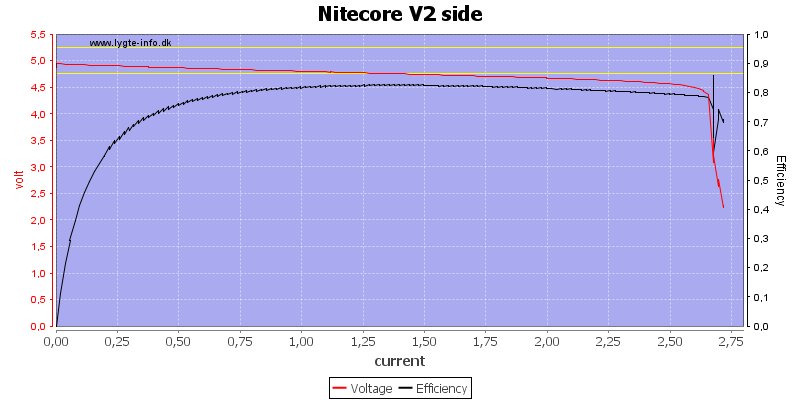 There is no problem with charging two NiMH at the same time. 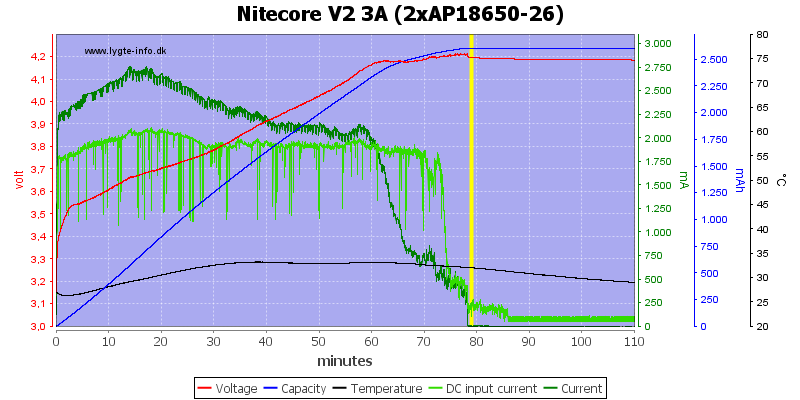 The battery is a bit warm, but that is not surprising with a 2A charge current. The two USB outputs are in parallel. The usb output can deliver slightly above 2.6A, this is fine. 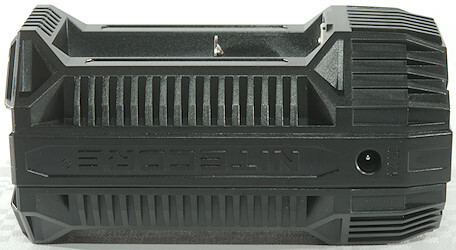 The same with the other connector. And when used together, i.e. they are in parallel. 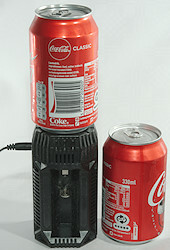 It can also charge while delivering USB power. 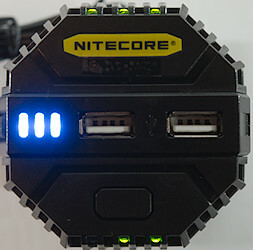 This registers at low efficiency for USB output because some power is used for charging. 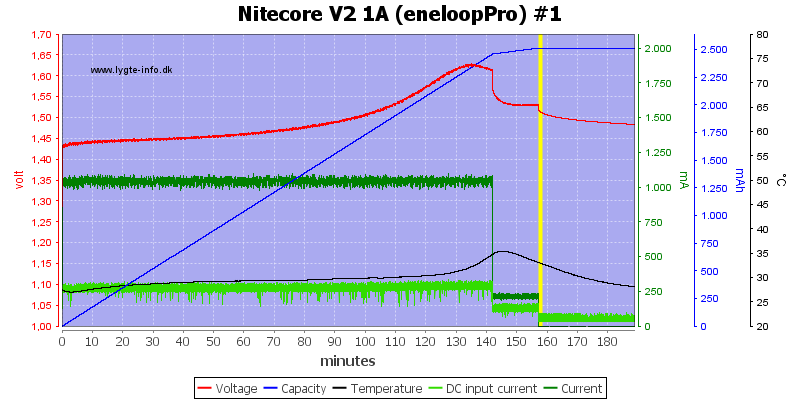 The charger has not problem supplying 2.1A for one hour. And it stays fairly cool. When unloaded the noise is 472mVrms and 3724Vpp. At 2.5A the noise is 531mVrms and 3093mVpp, this is very high noise at any load. 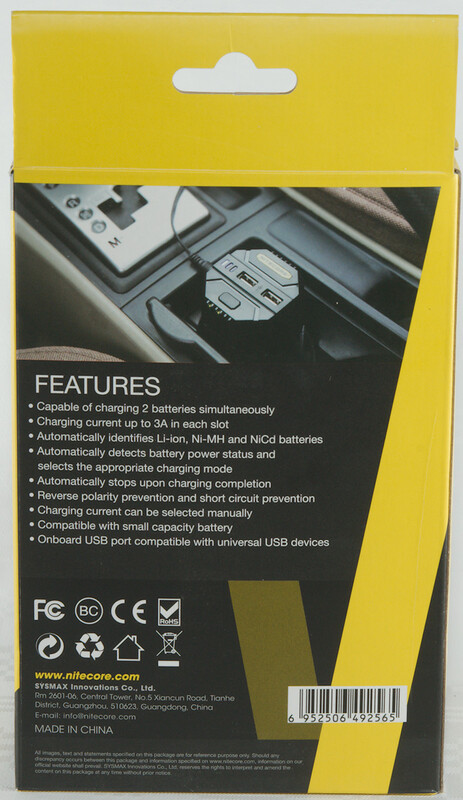 It is an interesting idea with a charger designed to be used in a car. 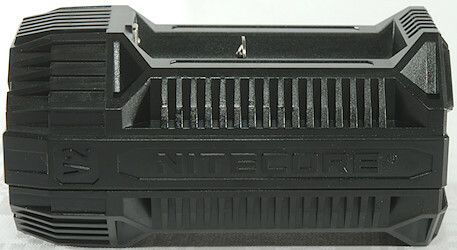 It is a good design with the hot parts on top (They may get a bit too hot for comfort) and keeping the batteries cool. 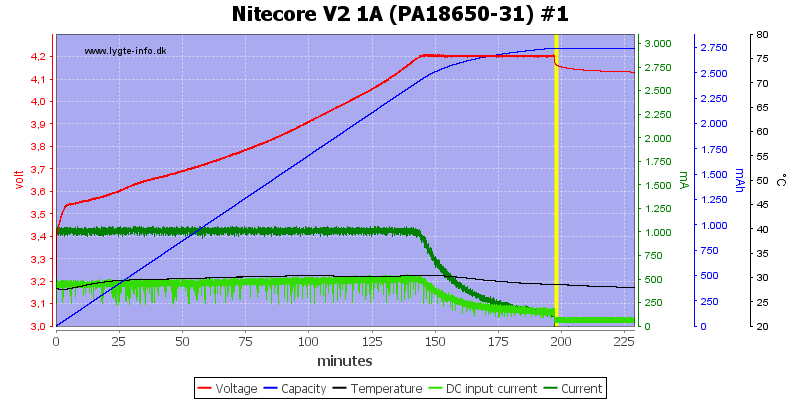 The lowest current of 1A limits its usefulness to larger batteries or small high current batteries. 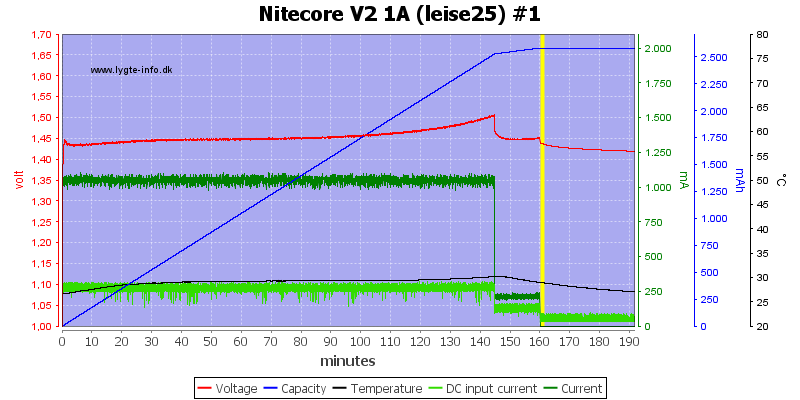 The usb output is rather bad with the high noise level. There is two usb sockets, but only power for one power hungry device. 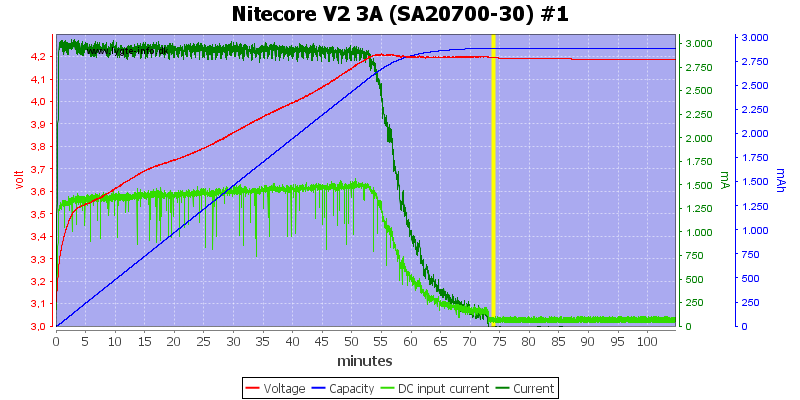 I will call it a good battery charger and a bad usb charger. 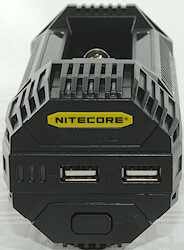 The charger was supplied by a Nitecore for review.